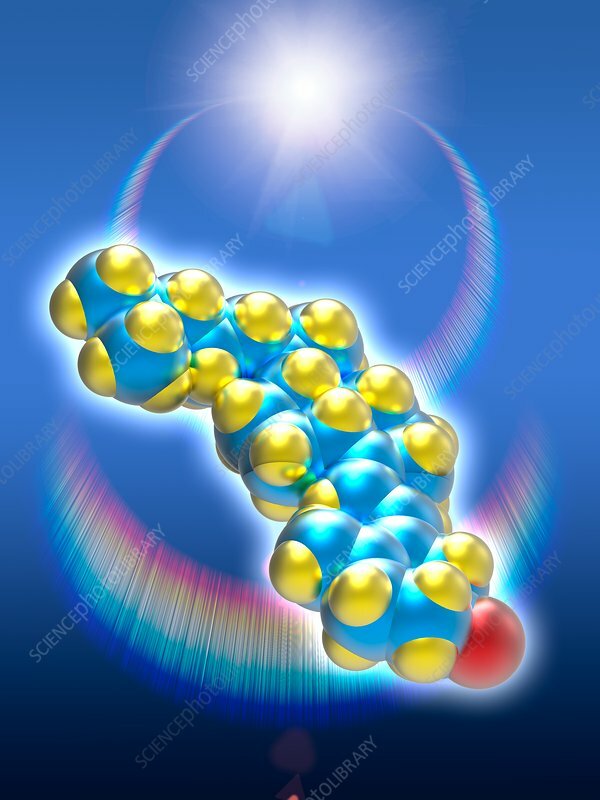 A molecular model of vitamin D3 (cholecalciferol), a form of vitamin D synthesized in the skin as a result of ultraviolet B light. Vitamin D3 plays a role in calcium absorption to maintain strong bones and balance levels of calcium and phosphorus in the blood. Atoms are coloured blue (carbon), yellow (hydrogen), and red (oxygen). In the background a sun flare with chromatic reflections.